Diamondbacks Playoff Series Starts on Friday - Food, Pregame Info and Other Stuff! 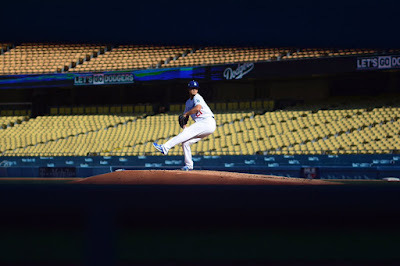 Unfortunately, I haven't gotten a lot of information about this series other than some very unique food items that will be available at Dodger Stadium for the first time, start times and first pitches. Check it all out below. I will update this post with new information once they are made available. 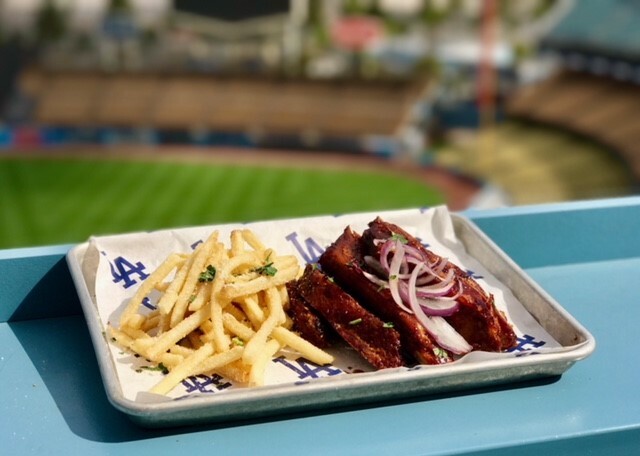 The BBQ Rib Platter will be available for this series against Diamondbacks and will be available only at the King’s Hawaiian Grill in the Left Field Plaza. It features smoked baby back ribs slathered in blueberry bacon BBQ sauce, served with parmesan fries. See it on the right. 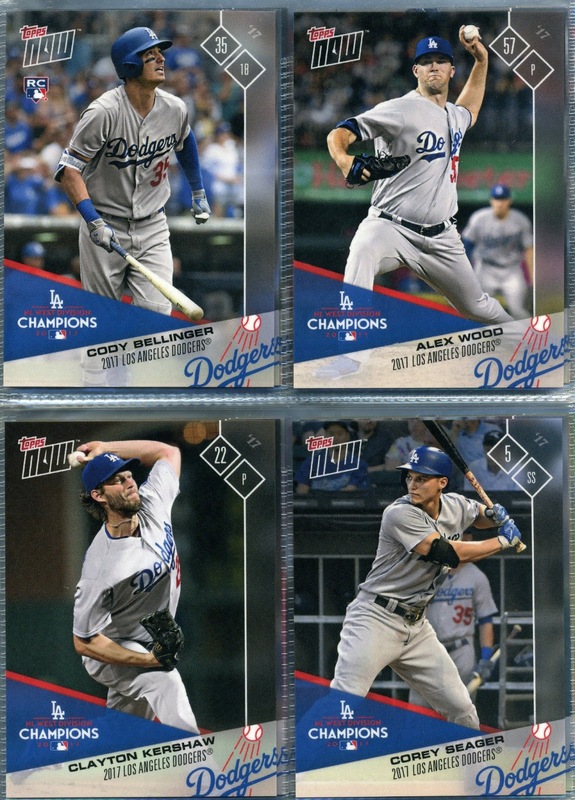 On the eve Game 1 of the NLDS I thought I would shares pics of the Dodgers entire 2017 Topps Now Postseason Baseball card set. It features 15 cards and includes a dandy NL West Division Champions flag as a part of its design. 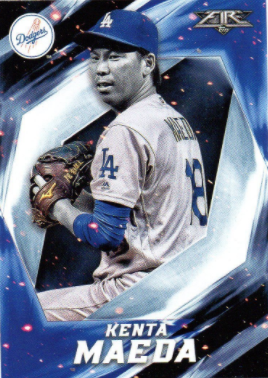 This set is available exclusively through Topps Now and you can still order it until tomorrow. Go here to check that out. 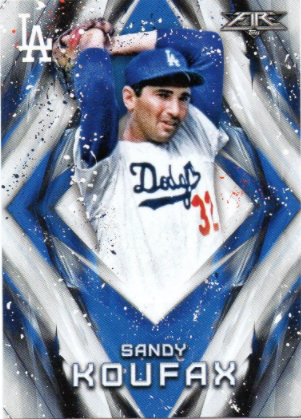 Topps Fire, once an insert, is now its own card brand, and it's an Target store exclusive product. Below are the nine Dodgers found in the base set. Go here to check out a complete checklist. Roberts said he'll have active 25-man roster, group of taxi guys traveling with team and "stay hot" camp in Az. on stand-by for NLCS. Segedin, Thompson, Verdugo, Paredes, Font sent to stay hot camp in Az. Dickson (injured). This Day in Dodgers History: In 1941 usually dependable Dodgers catcher Mickey Owen dropped a two-out third-strike to Tommy Henrich in the ninth inning of Game Four of the World Series to give the Yanks an opportunity to come-from-behind. New York would then immediately rally to win the game, 7-4, and take a 3-1 World Series lead. In 1947 Dodger outfielder Al Gionfriddo robbed Joe Dimaggio of an extra base hit and several RBI's when he made a leaping grab near the left field bullpen during Game 6 of the World Series. Go here to watch a highlight reel of the play. In 1980 the Dodgers came back to defeat the Astros, 4-3, to sweep a season-ending, three-game series and force a one-game playoff with the Astros for the National League Western Division title. Ron Cey had hit a two-run stunner in the 8th inning to help win the game. 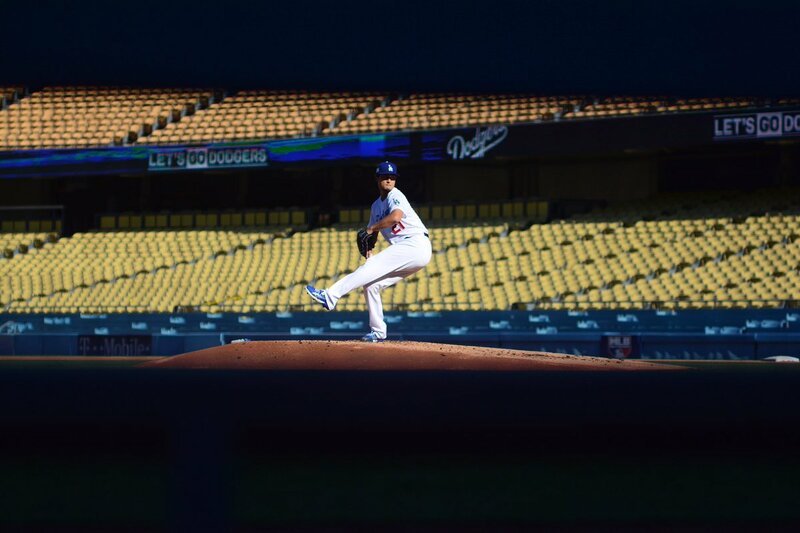 Unfortunately, the Dodgers would lose that one-game playoff, 7-1, the next day. Happy Birthday, Fred Claire, Bill Steele, Andy Kosco & Tracy Woodson!